The powerful faces of sports and determination. 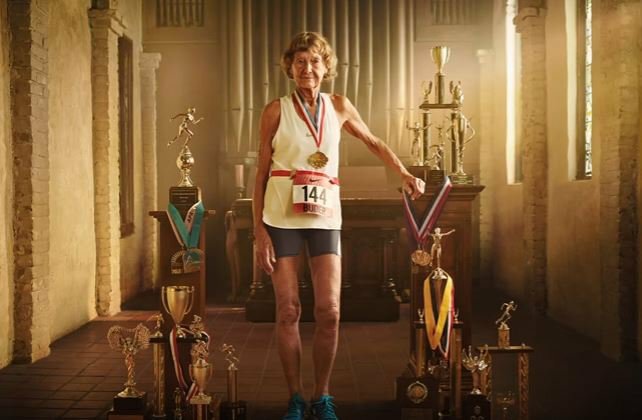 An 85-year-old Ironman running nun, a transgender male duathlete, and babies mix with international sports stars and celebrities in Nike’s inspiring “Unlimited” campaign. The series of powerful videos “hails both the everyday athletes and the champion athletes who regularly push their limits — and who are poised to prove their unlimited potential this summer and beyond,” according to the company’s website. The video series kicked off online at the end of July with a rousing speech by actor Bobby Cannavale (recently of HBO’s “Vinyl”) as he walks around what appears to be an orphanage full of babies. Cannavale’s speech contains a powerful message: no one can choose where they come from, but they do control where they finish. Throughout the video, the names on the babies’ cribs include sport stars Neymar Jr, Serena Williams, LeBron James, Mo Farah and Zhou Qi. The Nike campaign, which features summer sports apparel featuring bold colors and designs, then moved onto broadcast television in the run-up to the Olympics with an ad focused on regular people. The TV spot features “Star Wars: The Force Awakens” star Oscar Isaac as a narrator who extols the power of unlimited thinking for regular people. The narration starts out predicting bold futures for seemingly average athletes. The power of confidence and positive thinking then takes hold as these emboldened everyday athletes take on ever riskier athletic challenges, much to the humorous concern of Isaac’s voice over character. The full series of 18 videos (and counting) is produced by Wieden + Kennedy Portland and features profiles of athletes both well-known and not. Sports stars include British distance runner Mo Farah; Jamaican sprinter Shelly-Ann Fraser-Pryce; US sprinter Allyson Felix; tennis megastar Serena Williams; US gymnasts and Olympic champions Simone Biles and Gabby Douglas; golfer Rory McIlroy; NBA stars Kevin Durant, Zach LaVine, and Aaron Gordon; baseball player Giancarlo Stanton; soccer player Alex Morgan; professional skateboarder Nyjah Huston; as well as decathlete and Olympic champion Ashton Eaton. The videos are filled with visuals and statements that reinforce the message that unlimited thinking and attitude is the key to success. This message is strongest in two of the videos that feature less well-known athletes. “Unlimited Courage” tells showcases transgender male athlete Chris Mosier. Mosier competes in the duathlon, which is a combination of cycling and running. The 35-year-old started his athletic career as a woman and began his transition in 2010. In 2015, Mosier became the first transgender athlete to compete on a US national team, going on to represent his country at the 2016 World Championships. The LGBTQ advocate worked to change the International Olympic Committee’s rules to allow transgender athletes to compete before fully undergoing reassignment surgery. He won this victory despite his sport not being in the Olympics. Mosier is the first transgender athlete to be featured in a major apparel company’s advertising. The video aired on television during the Olympic games he worked to so hard to make more open-minded. The most recent video in the Unlimited series addresses another limiting preconception: age. “Unlimited Youth” turns Isaac’s sometimes conflicted narrator’s attention to 85-year-old nun, Sister Madonna Buder. Initially impressed by the elderly Buder getting up early to run, Isaac’s narration grows more incredulous watching Buder run down dirt trails, swim in open water, and bike on curvy roads. 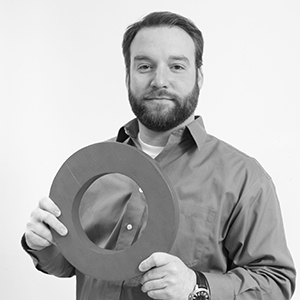 In the video, Buder is called "the Iron Nun." The nickname, which has stuck with Buder for years, is well-earned for the 45 IRONMANs she has competed in since she turned 55. For the record, Ironman triathlon’s feature a 2.4-mile swim, 112-mile bike ride, and 26.2-mile run, that’s a long way to go for anyone, at any age. Buder only started running at the age of 48 after attending a religious workshop by a priest who taught that running helped harmonize the mind, body, and soul. Initially burning out on simply running, Buder found the diversity of triathlon training more appealing. In her most recent Ironman competition, Buder, at the age of 82, set records that still stand today for the oldest person to have completed such a race and the fastest finishing time in the 80 to 84 age group. The nun credits her endurance to listening to her body and a positive mindset. Her inspiring story is summarized in this behind the scenes video. Nike is obviously interested in selling clothes but by focusing on heroes like Mosier and Buder, their Unlimited message goes far beyond sports apparel.